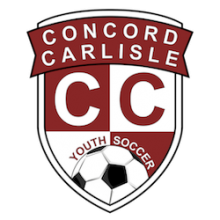 CCYS is offering a winter futsal program that was started in winter 2017. The programs goal is to provide a casual, fun venue for players to play a little futsal this winter (For those not familiar with futsal: It’s a version of indoor soccer played with a small, low-bounce ball on a hard surface like a basketball court. It’s a lot of fun and great for skills development. It’s popular in countries like Brazil and Argentina that are pretty good at soccer). Futsal sessions will be led by CCYS professional coach Kyle Yelin. The futsal program is coed and is open for boys and girls in grades 1-8. Sessions will be held on Friday nights at Sanborn, and late Sunday afternoons at the Carlisle gym. Fridays: Grades 1-4 at 6-7. Grades 5-8 at 7-8. Sundays: Grades 1-2 at 4-5. Grades 3-4 at 5-6. Grades 5-8 at 6-7. For all sessions: Depending on numbers, we will typically have two games: One game will be less intense, focused on fun, and the other will be more competitive. We will generally let players self-select which game they wish to participate in. At Carlisle, the less-competitive game will be near the entrance, while the more competitive game will occur on the back part of the gym. This program is open for everyone. Players who play on a futsal team are welcome to join, but are reminded that these sessions are focused more on fun than on maximum intensity! The Futsal Season runs from Friday, January 26 to March 11. We will have sessions either side of February vacation if there’s sufficient interest. The program costs $70. Players can come on Fridays, Sundays, or both. Come join us!